The use of technology to enhance teaching and learning has become critical in today's academic environment. 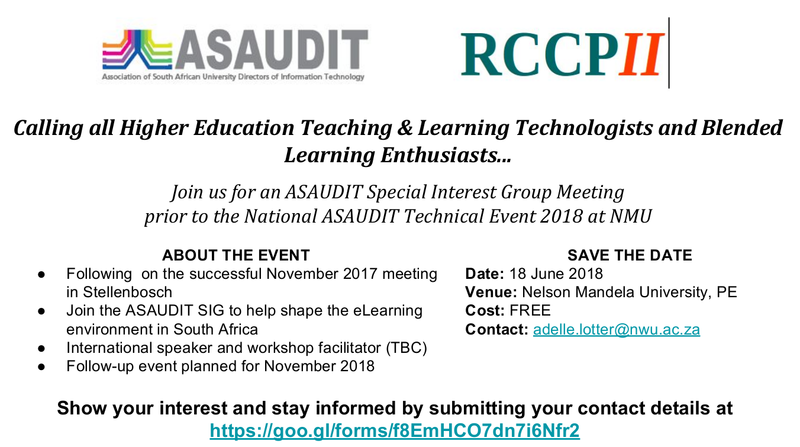 RCCPII and ASAUDIT joined forces on 18 June 2018 to organise the ASAUDIT Blended Learning Special Interest Group (SIG) meeting. The meeting took place just prior to the National ASAUDIT Technical Meeting (NATE 2018) at Nelson Mandela University and was a follow-up meeting of the SIG meeting that were held at Stellenbosch in November 2017. A second Blended Learning SIG meeting was co-organised by RCCPII and held in Johannesburg on 19 & 20 November 2018. 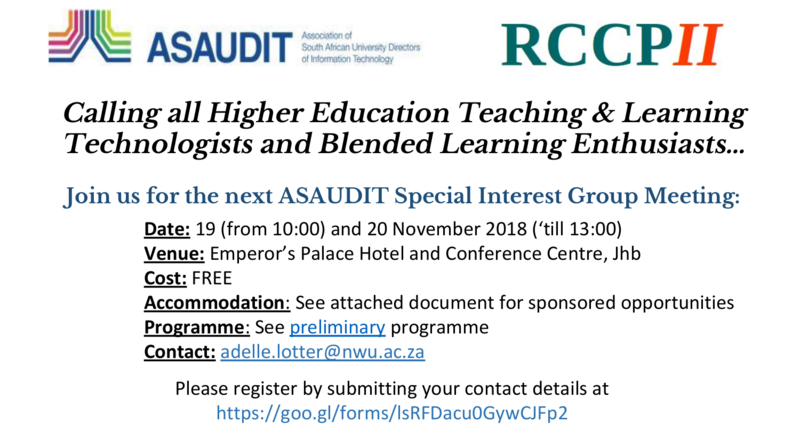 For more information, please contact the ASAUDIT Blended Learning SIG convenor, Ms Adelle Lotter from North-West University.